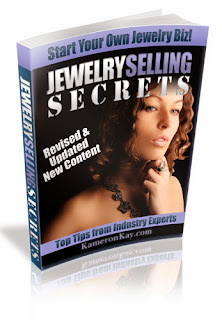 Hello, Handmade Jewelry Club readers! 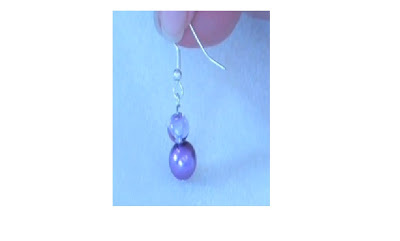 We’re back for another jewelry making ideas and tips and today, we’ll be making simple earrings. 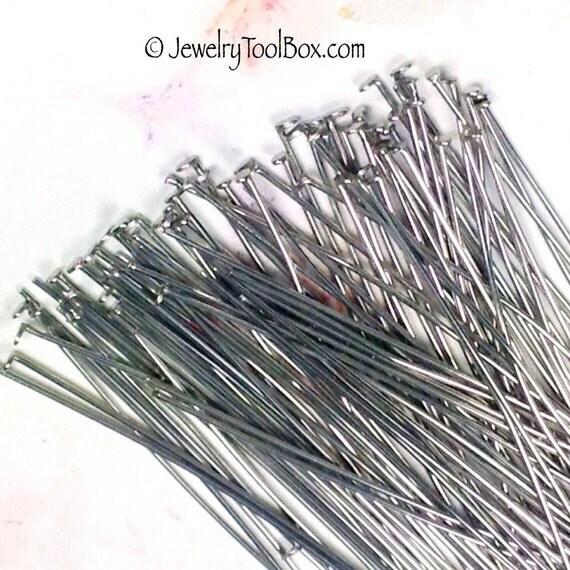 I mentioned in my article, “Wire Jewelry Ideas: How to make eye pins” that on my next posts for a series of lessons on how to make wire jewelry we’re going to learn the basics of jump rings. 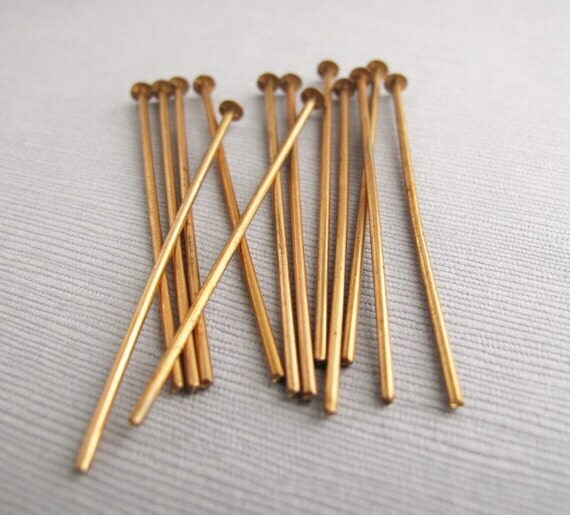 Well, I thought of going back a little bit and maybe should first talk about another type of finding, closely related to eye pins and learn how to make simple earrings with head pins. These are head pins and they don’t have a loop or eye like with eye pins. 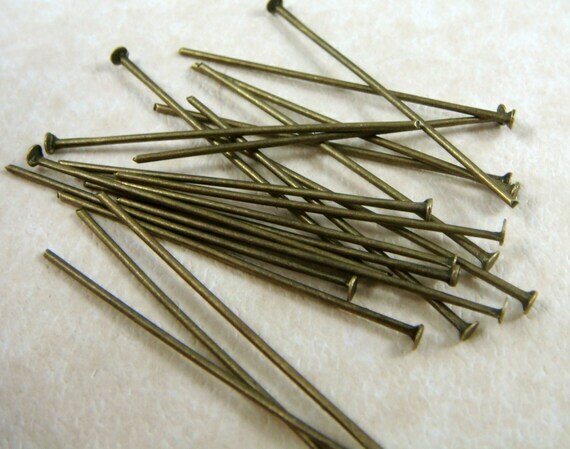 Actually, they look similar to thin nails or sewing pins but without the pointed end. 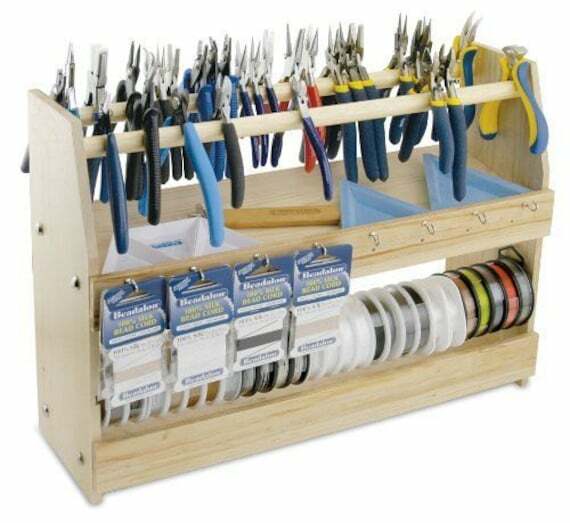 You won’t get pricked, but of course, you still need to be careful working with any kind of metal. 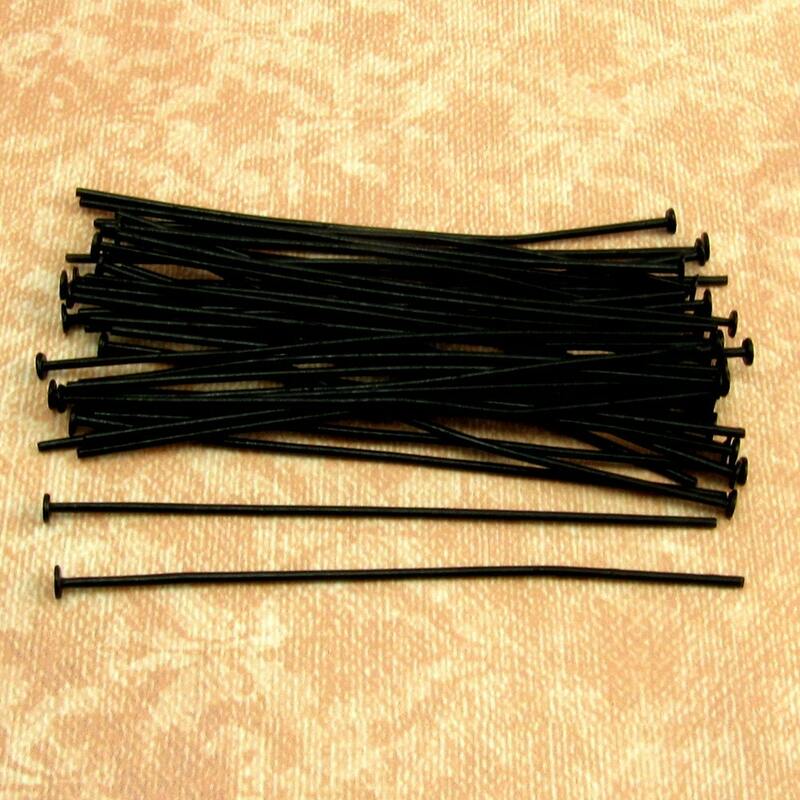 Just like the eye pins, head pins are also available in various lengths and gauges. Again, depending on the type of jewelry or size of beads you’re going to use you should choose the right length, especially the right gauge of head pins. Using the wrong gauge of head pin sometimes can cause some types of beads to break. Head pin is an essential component when you’re learning how to make wire jewelry and its use is best utilized in constructing earrings. Because head pin has a flat end, this flat end already serves as your bead stopper. 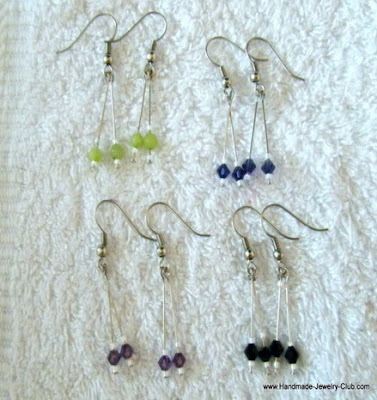 Just slide in some beads of your choice and then create a loop at the other end to attach your ear wire. When you’re still learning how to make wire jewelry constructing earrings is the simplest way to learn it. Now, we’ve all learned how to make a loop in our previous posts, but to give you an idea how to construct an earring using head pins here is a helpful video tutorial from Beads by Lili. Now, we’ve all learned how to make a loop in our previous posts, but to give you an idea how to make simple earrings using head pins here is a helpful video tutorial from Beads by Lili. Now, that you’ve learned the basic way to make earrings with head pins, why don’t we add fun to a simple earring construction and put color, crystals, seed beads and style, and learn how to construct earrings with XQDesigns’ free tutorial. 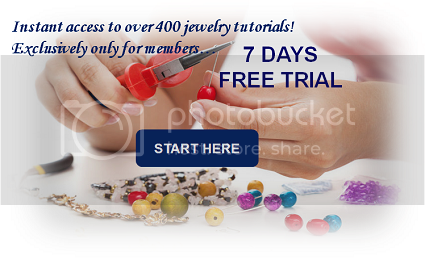 I hope you learned something useful with our jewelry making lesson and added another jewelry making ideas into your jewelry making hobby. So, go now and grab your beads and head pins, and create beautiful earrings that you could give to your friends and families this coming Christmas. Ciao! Amazing issues here. I’m very happy to peer your post. Thank you so much and I am looking ahead to touch you. Will you please drop me a mail?